Eamon Ryan’s proposal that Heineken Cup games be free-to-air is criticised by the former chair of the Competition Authority. EAMON RYAN has been told that his proposal to make Heineken Cup matches available on free-to-air television by law would result in a “vicious downward spiral” that would destroy the domestic sport. 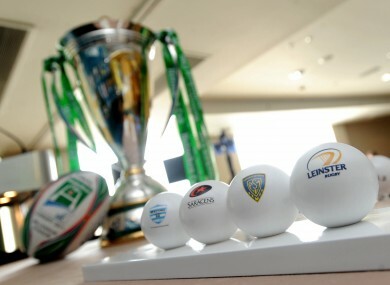 Patrick Massey, a former chairman of the Competition Authority, believes that denying the IRFU the ability to command lucrative pay-TV deals to air Heineken Cup matches featuring provincial sides would cost the union between €3m and €5m every year. Undoubtedly such a shortfall would have a significant impact. Massey suggests that the drop in income the IRFU could expect would mean it would have to be shoulder the cost by cutting the budgets for the provincial sides, meaning they would be hampered in their abilities to match the continent’s best in the Heineken Cup and Magners League competitions. A shortfall in funding, he suggested, could ultimately result in Ireland losing one of its three Heineken Cup places. “Further declines in revenue as a result [of losing a spot] would further restrict the ability of Irish teams to attract quality players and could ultimately result in a vicious downward spiral for Irish rugby,” Massey concluded. Email “Ryan's free-to-air rugby plan faces new criticism”. Feedback on “Ryan's free-to-air rugby plan faces new criticism”.